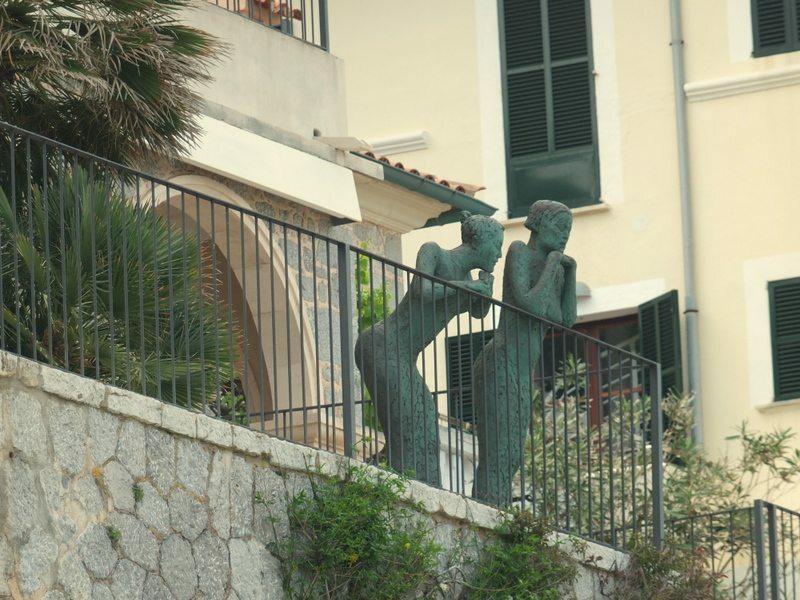 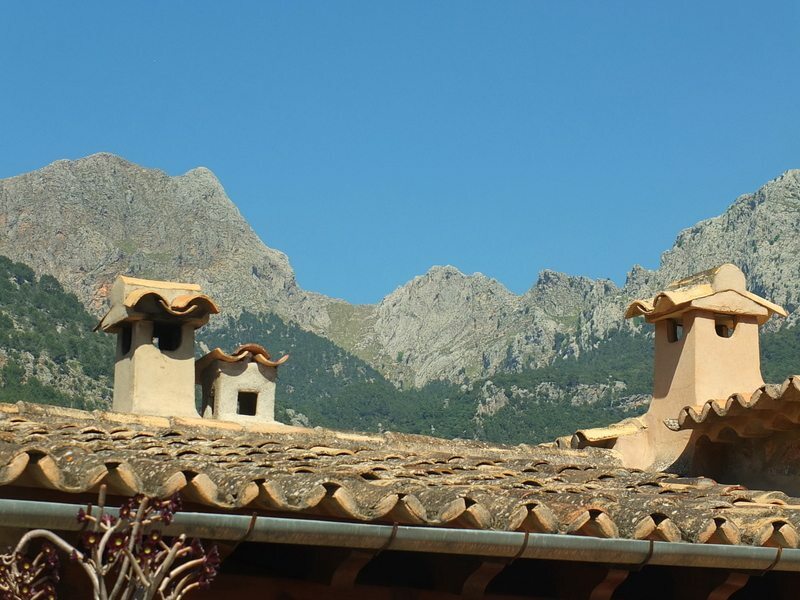 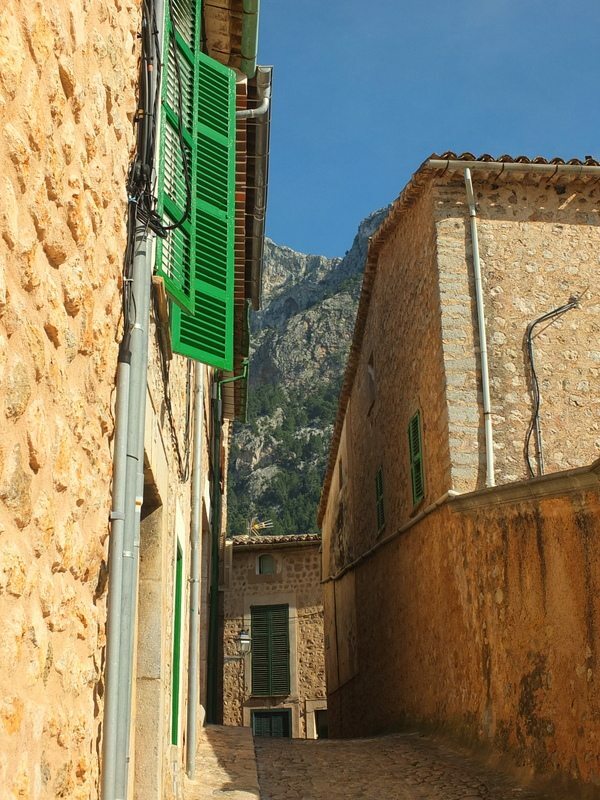 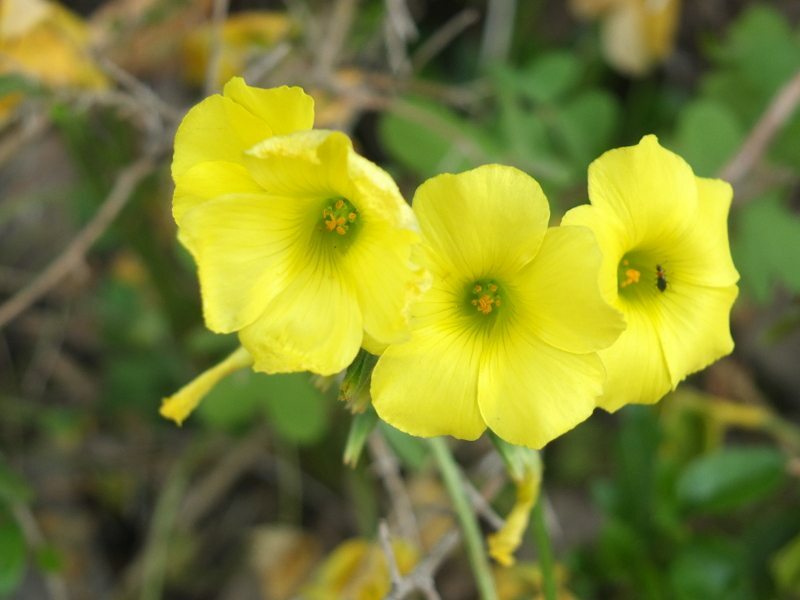 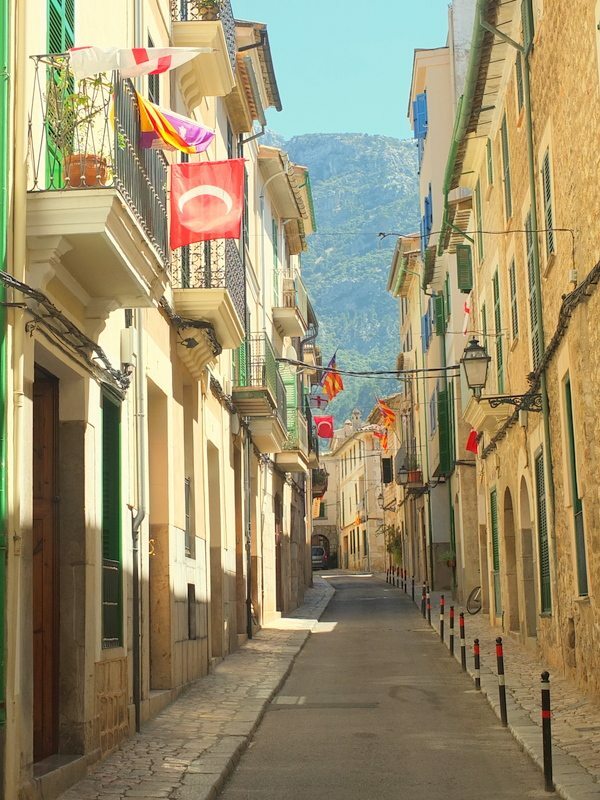 During my time on Mallorca I often heard Soller talked about as the hiking capital of the island. 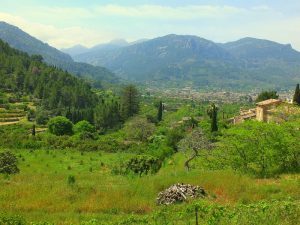 During a multi-day trek on the GR221 (read about that here) I had already passed through Soller but I did not linger knowing that I wanted to come back to do some day hiking. 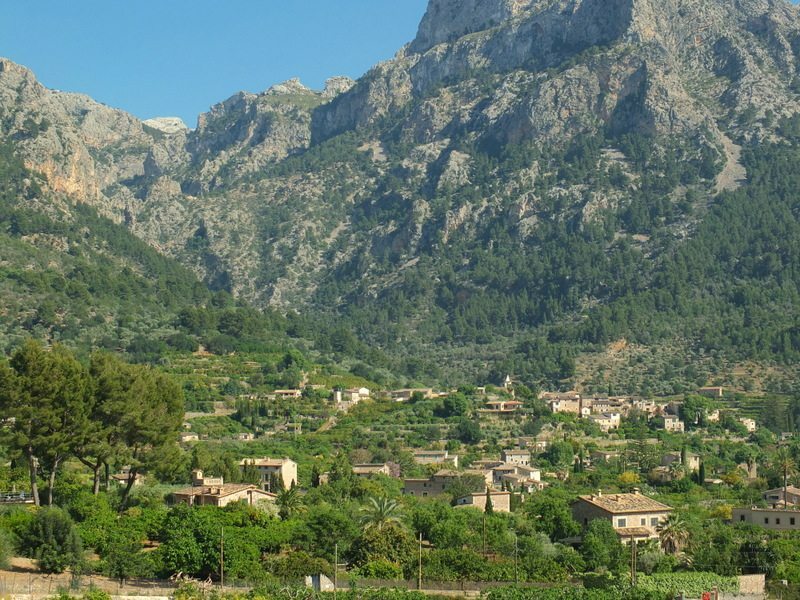 For the day hikes, I chose to base out of Palma and ride the routine bus service that operates between Palma and Soller. 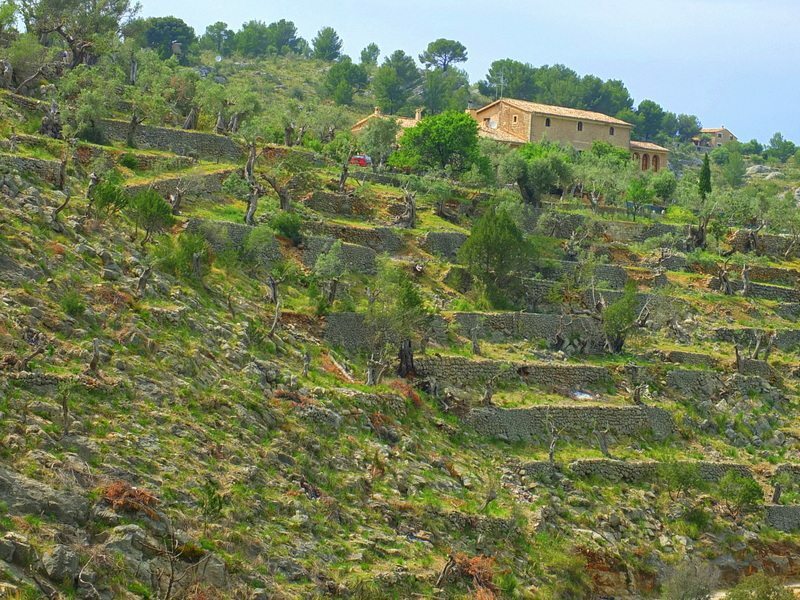 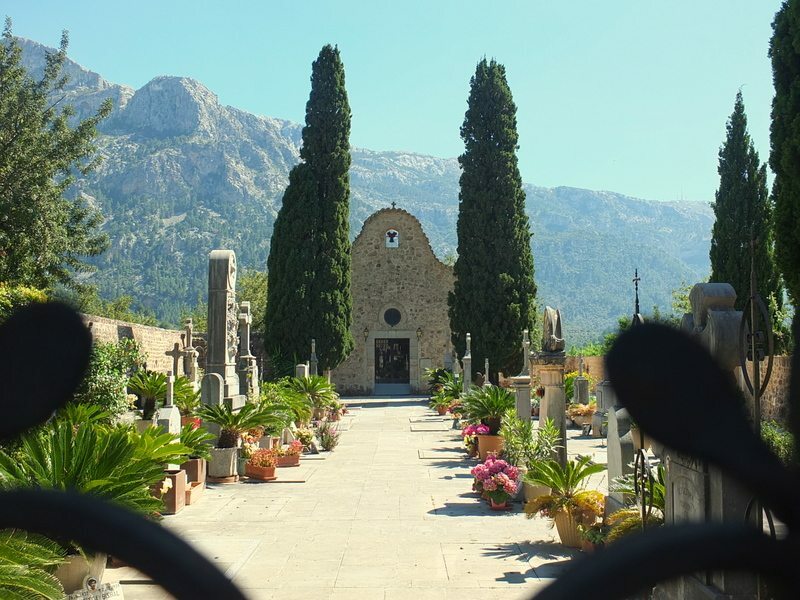 The ride is a pleasant hour or so through the countryside and passes of the Serra de Tramuntana. 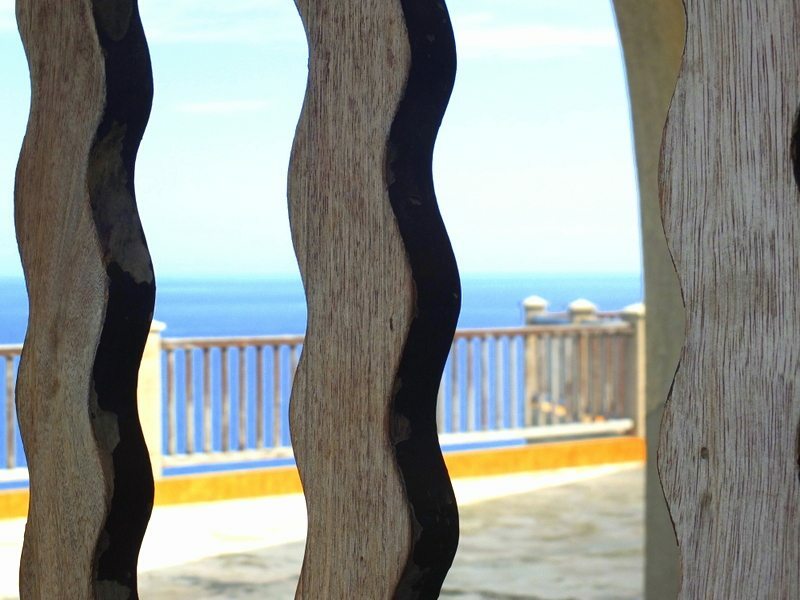 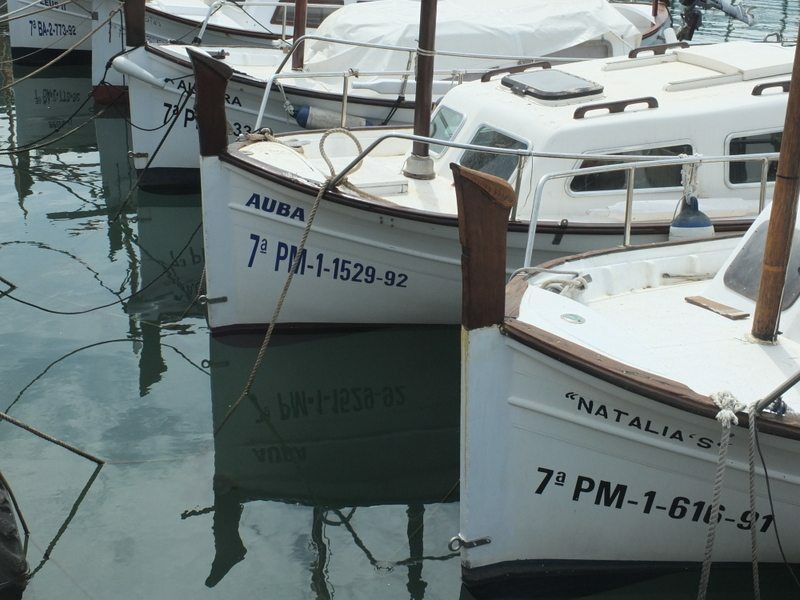 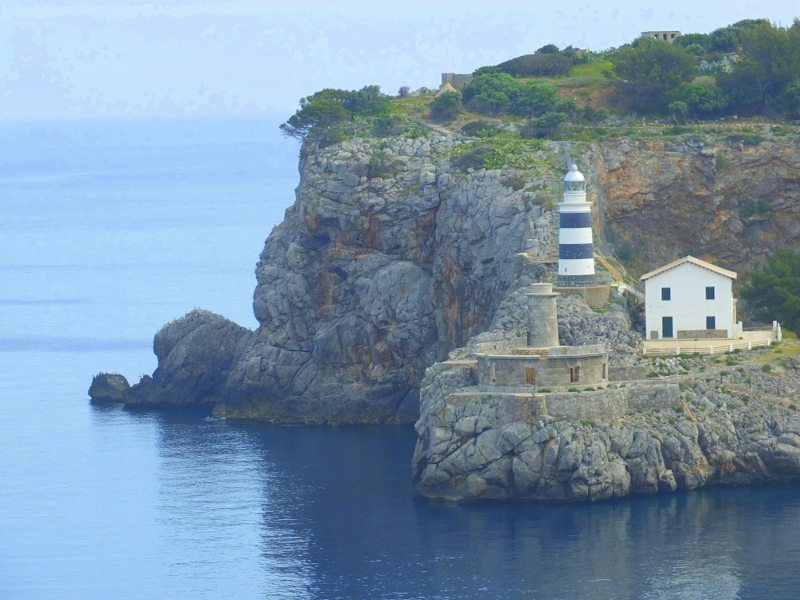 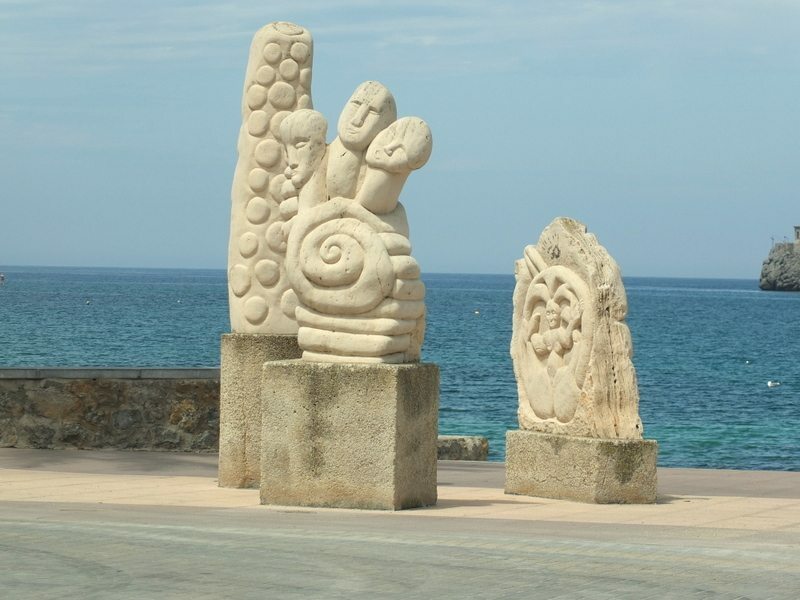 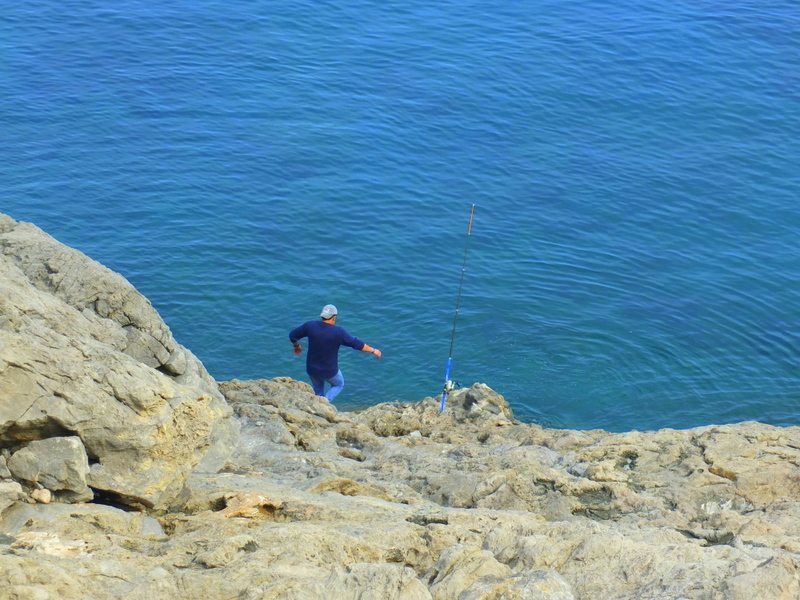 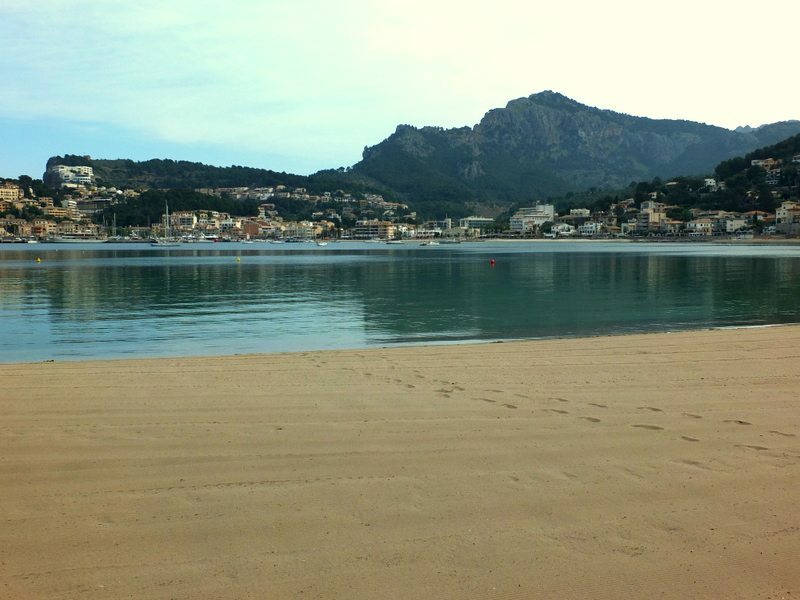 Palma is to the South of the mountains and Soller and the day hikes are to the North. 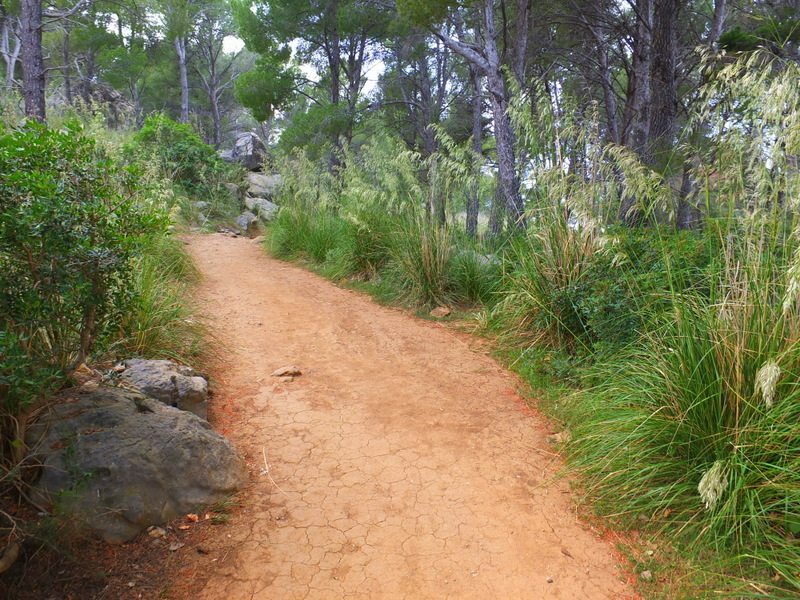 We were able to experience two beautiful hikes in the Soller Valley. 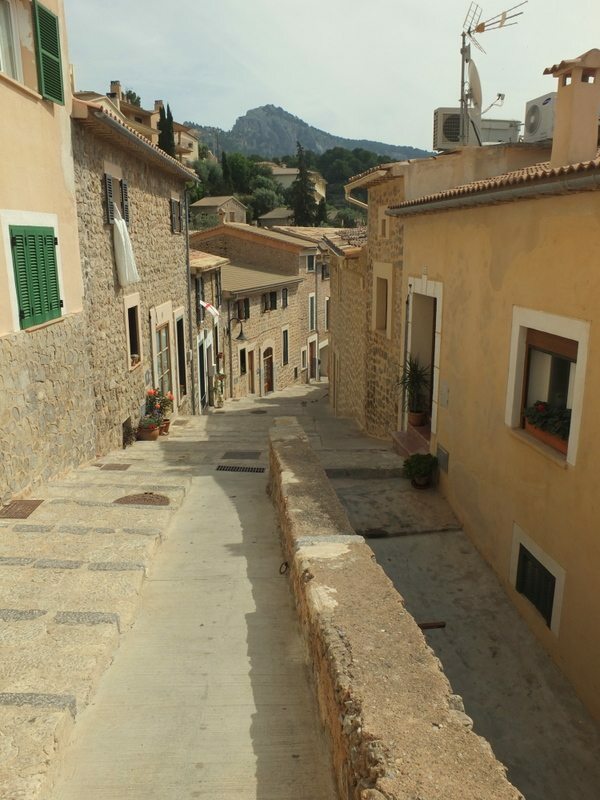 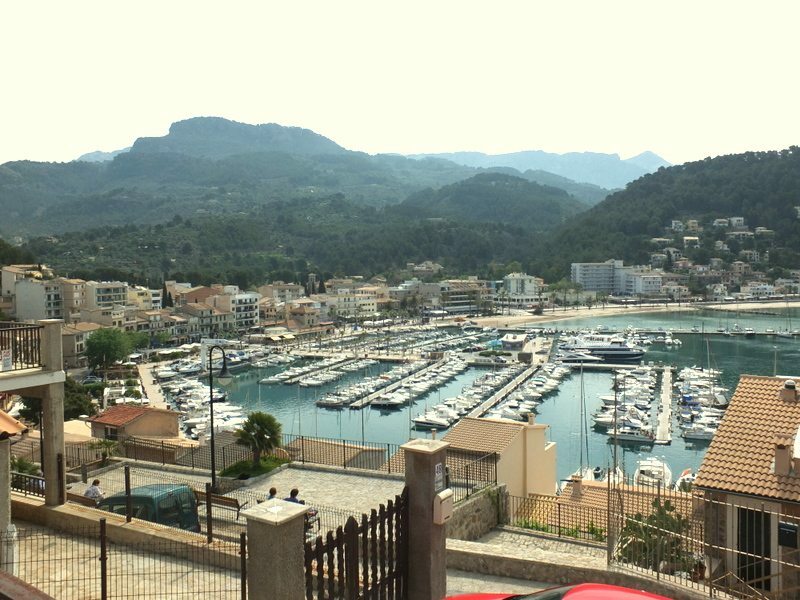 One was a climb up the hillsides to the village of Fornalutx and a partial loop back to Soller through the village of Biniarix (8 KM total). 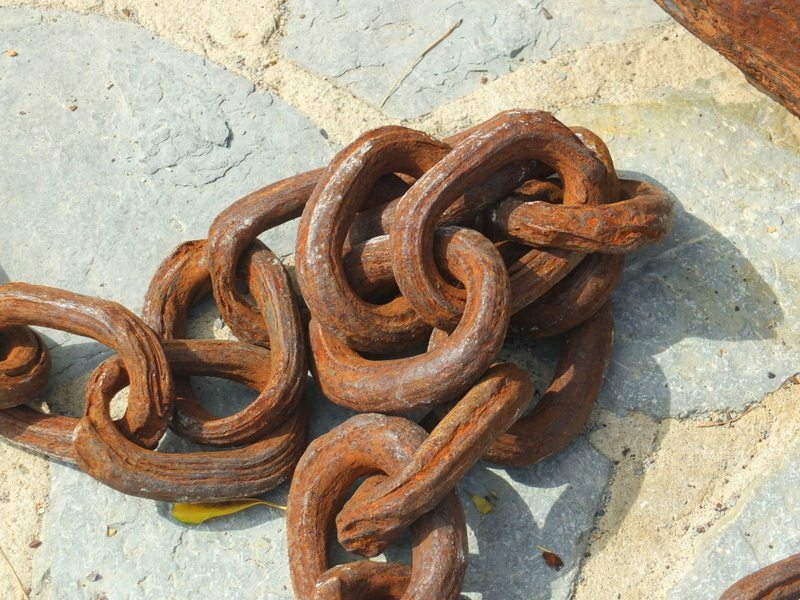 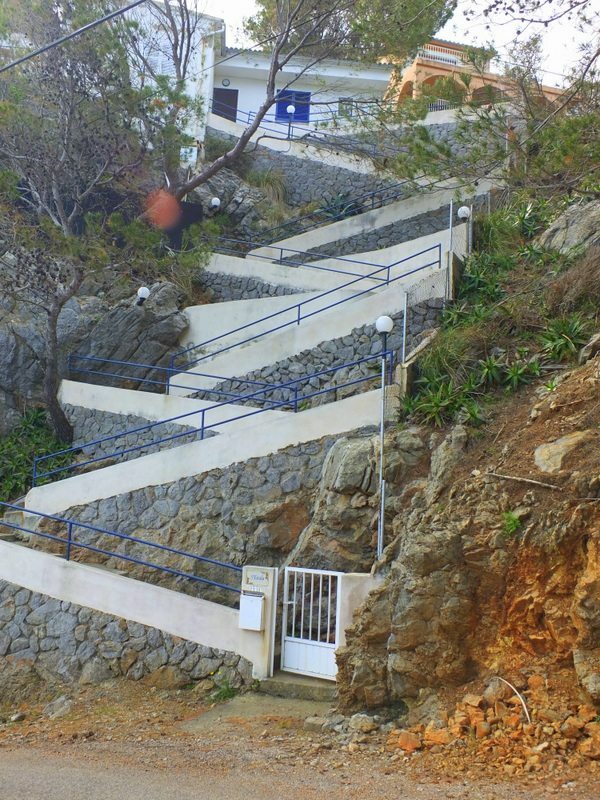 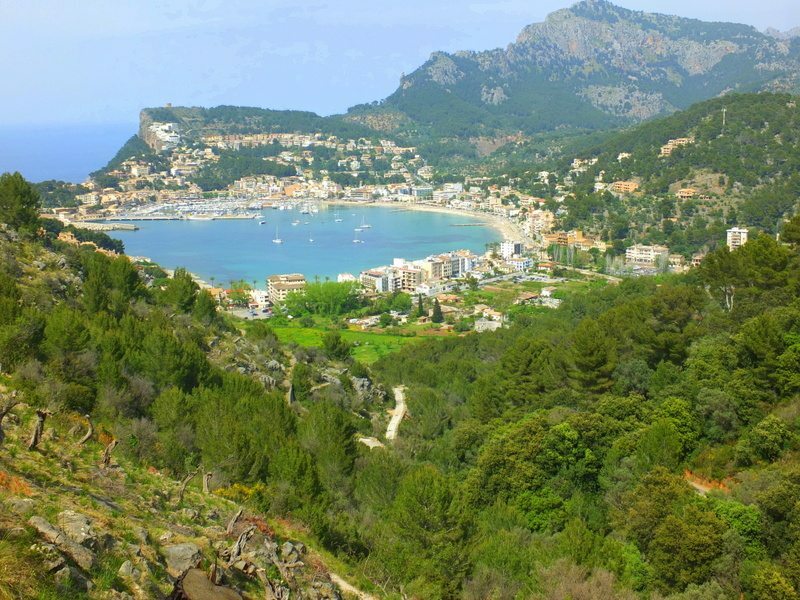 The second was a hike down the valley to the coast and Port de Sóller, a coastal town (6 KM roundtrip). 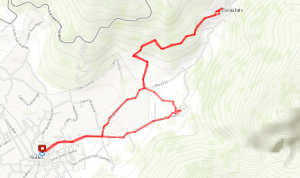 The map shown with this article is for the Fornalutx hike. 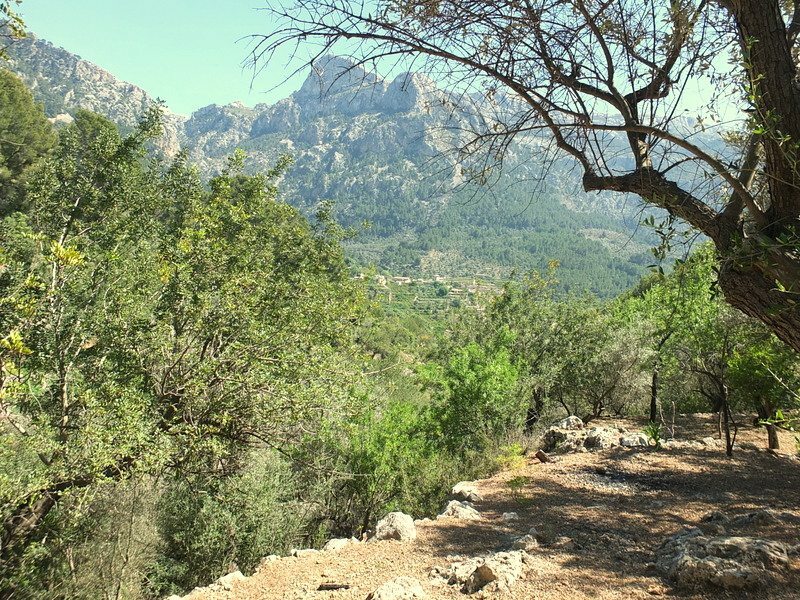 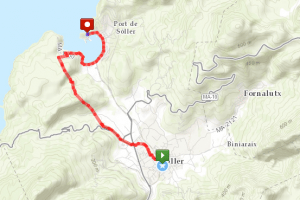 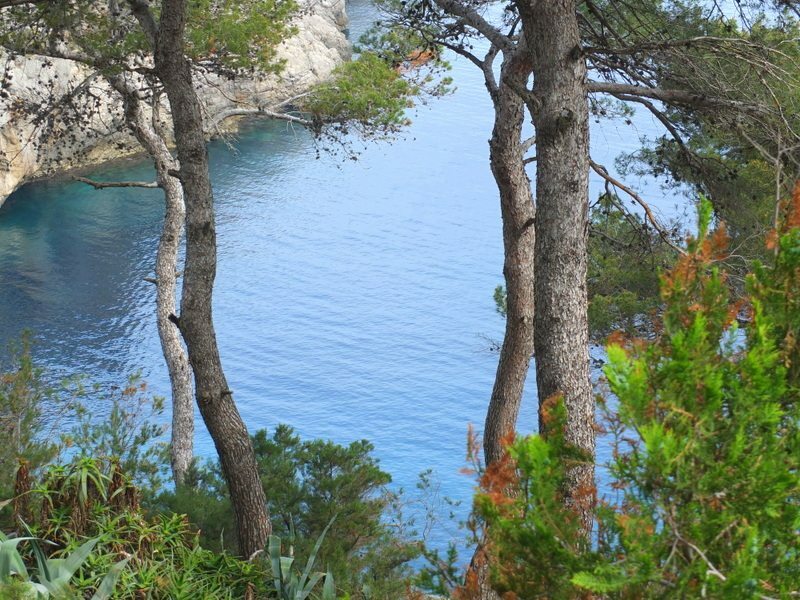 The hike between Soller and Port de Soller is on the GR221. 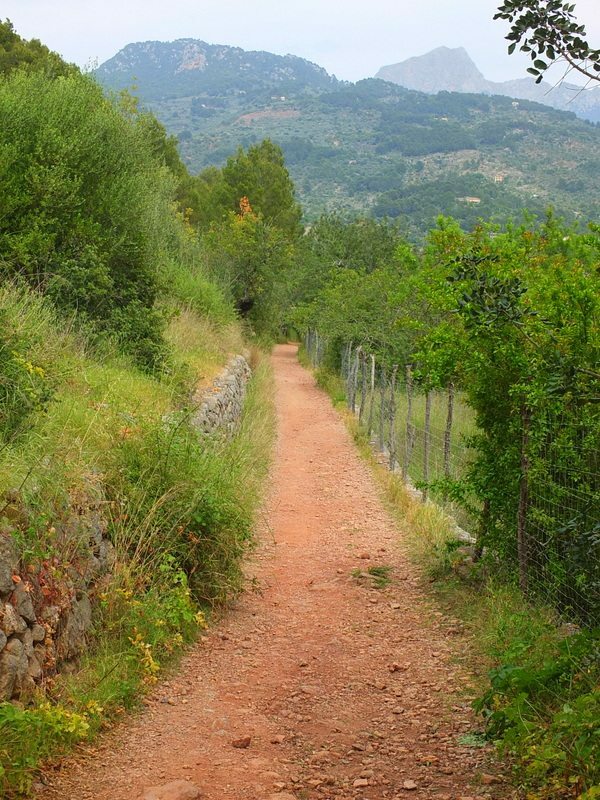 The walk to Fornalutx was not particularly well marked and it took a bit of orienteering tempered by common sense to find the way. 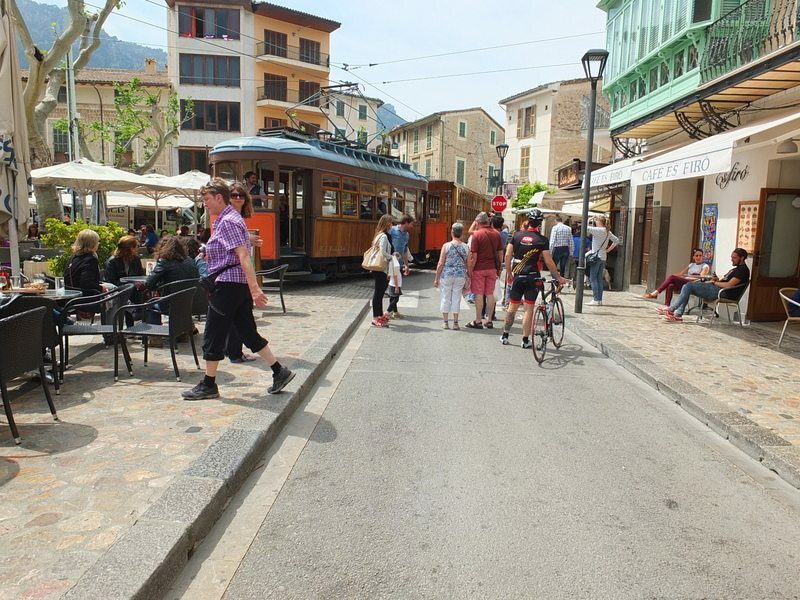 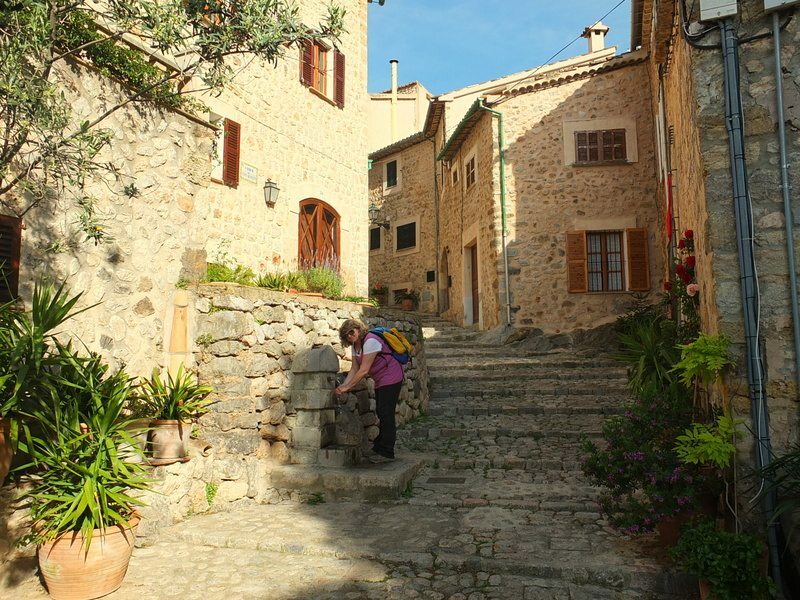 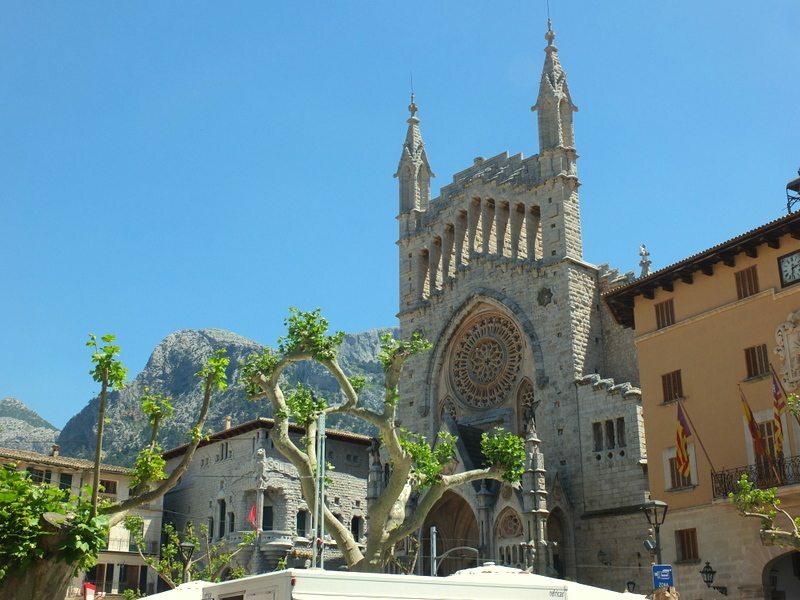 We started in the central plaza of Soller and felt our way through the maze of streets in the center to the outskirts. 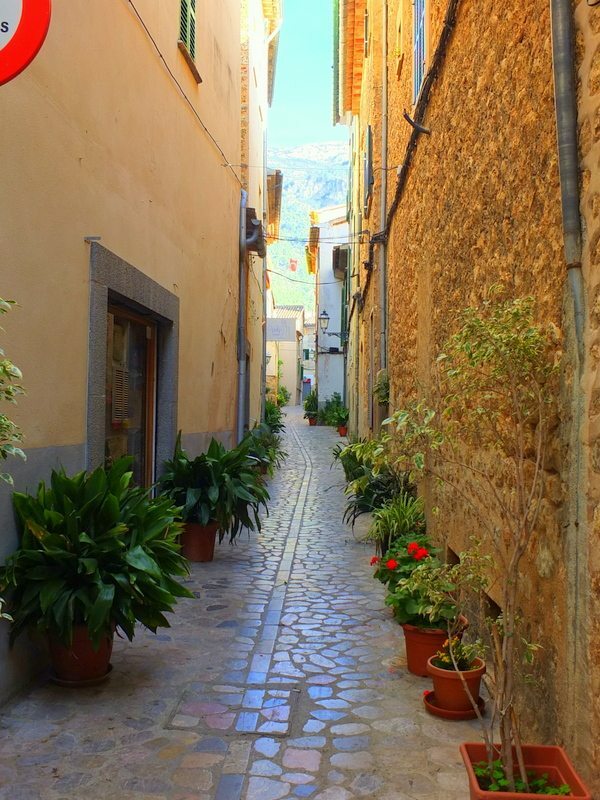 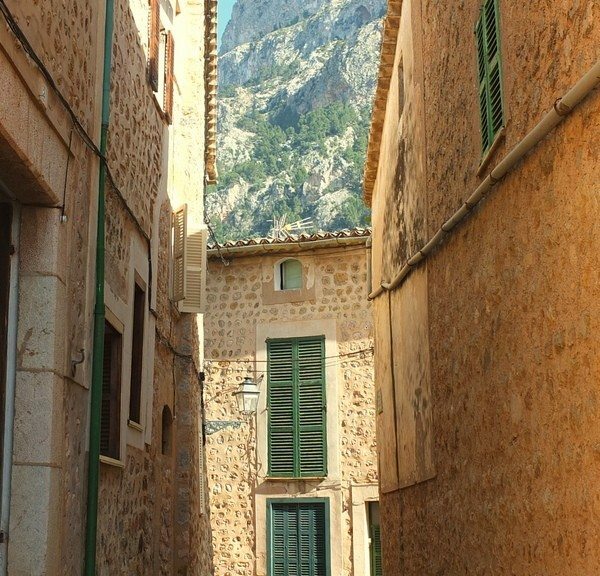 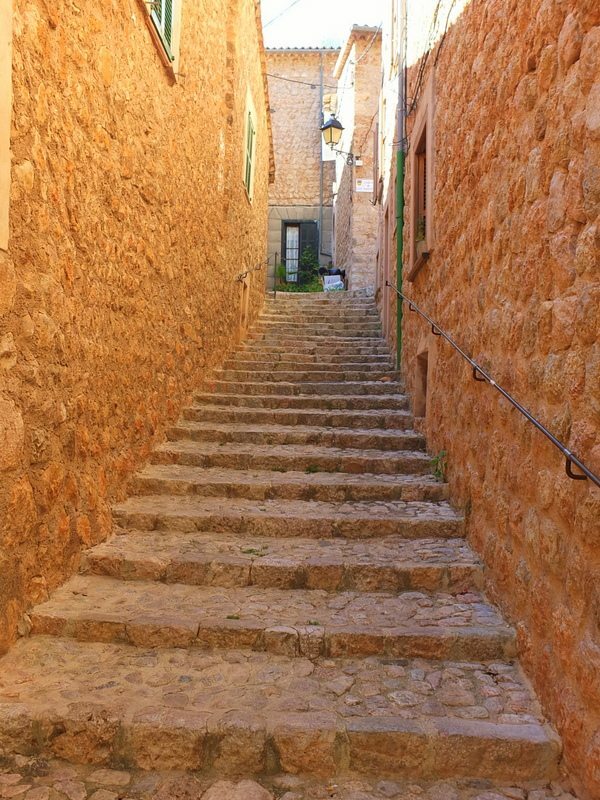 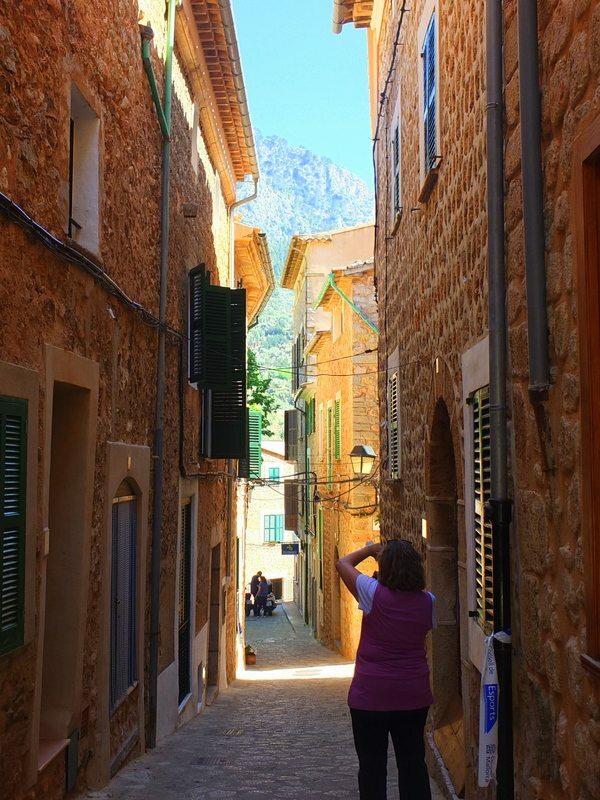 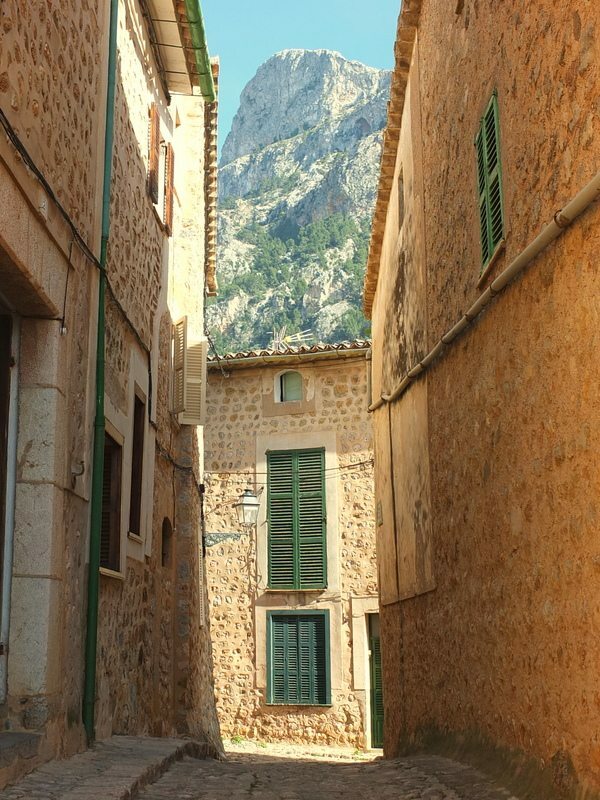 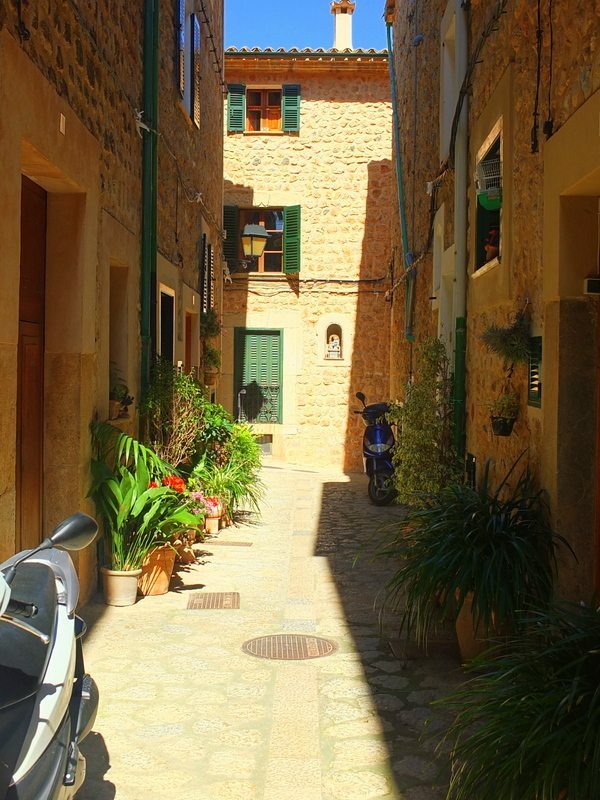 Soller is not a large town … only about 14,000 population so it would be difficult to get too lost. 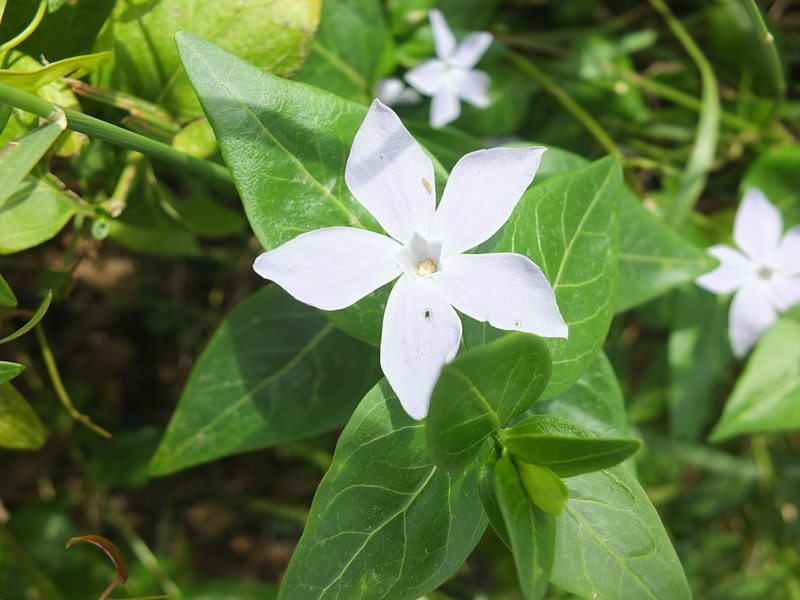 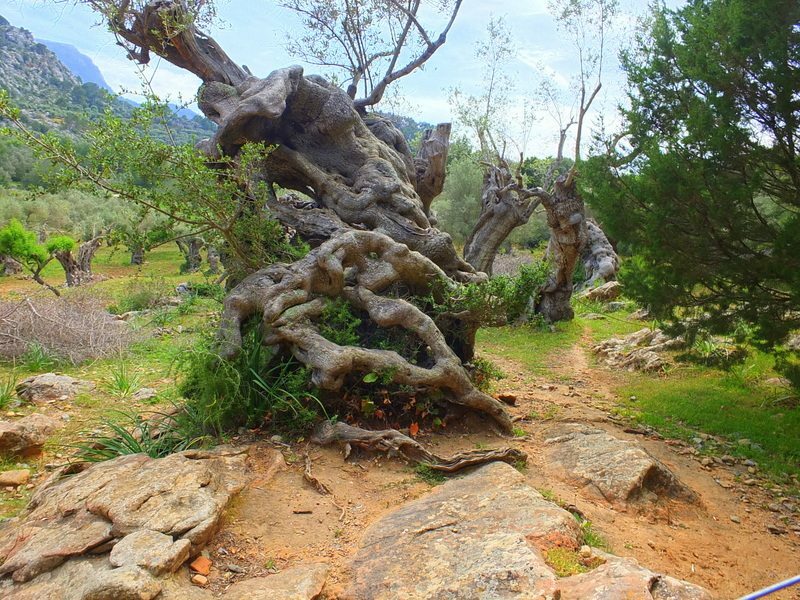 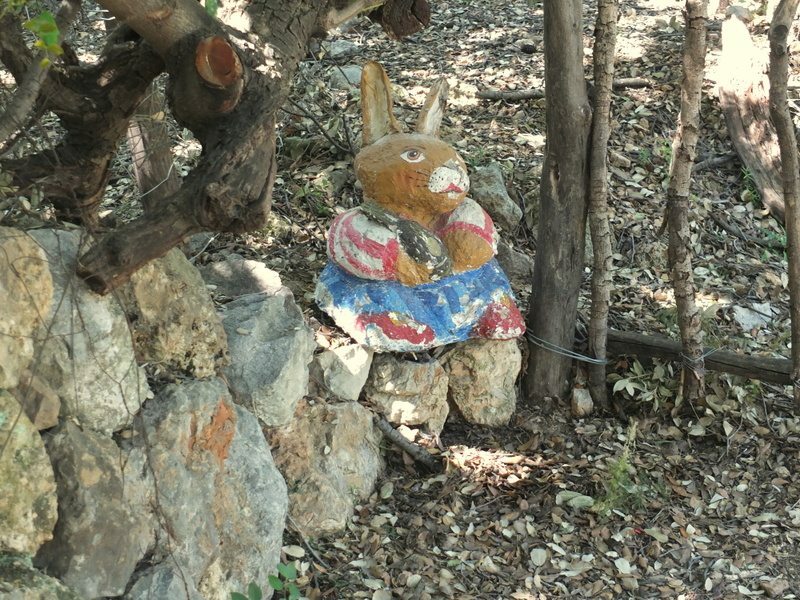 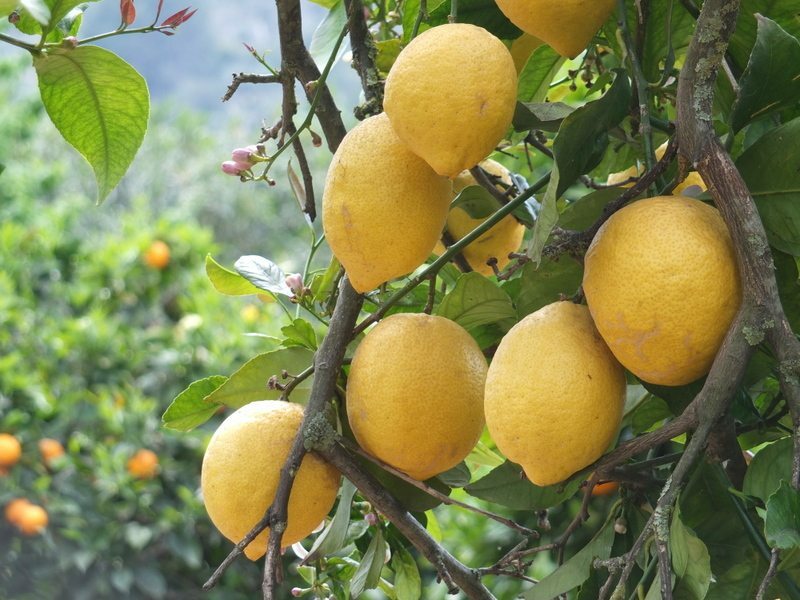 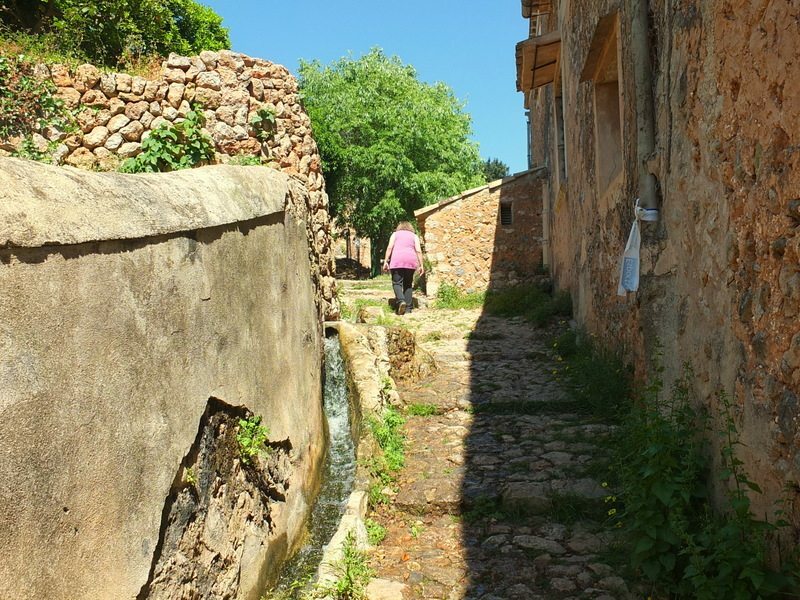 The first part of the hike to the village of Binibassi was on small roads through lemon and orange groves punctuated by groupings of houses and sheds. 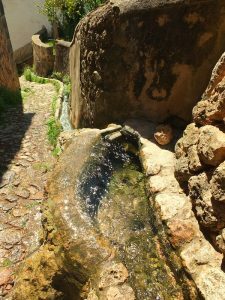 From Binibassi, the route narrows to a winding path along a fast flowing rock channel. 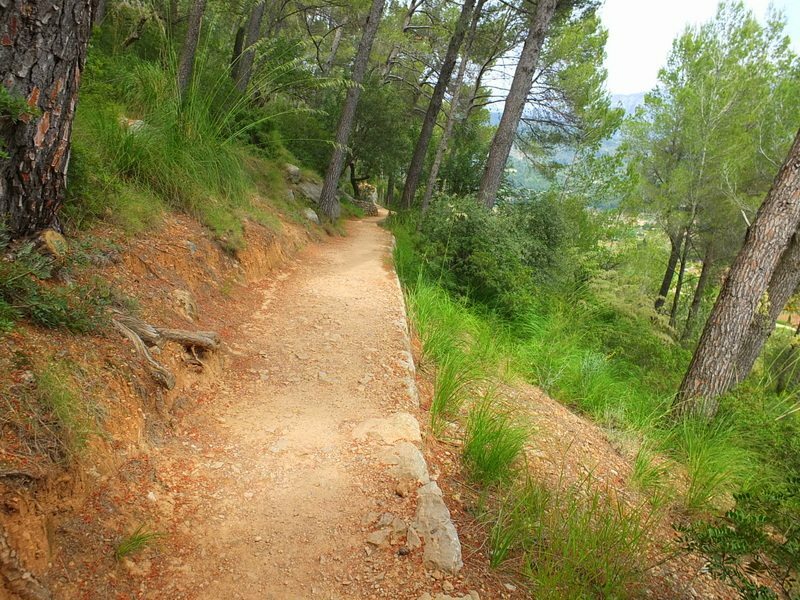 We passed through a small forest before beginning a short descent into Fornalutx. 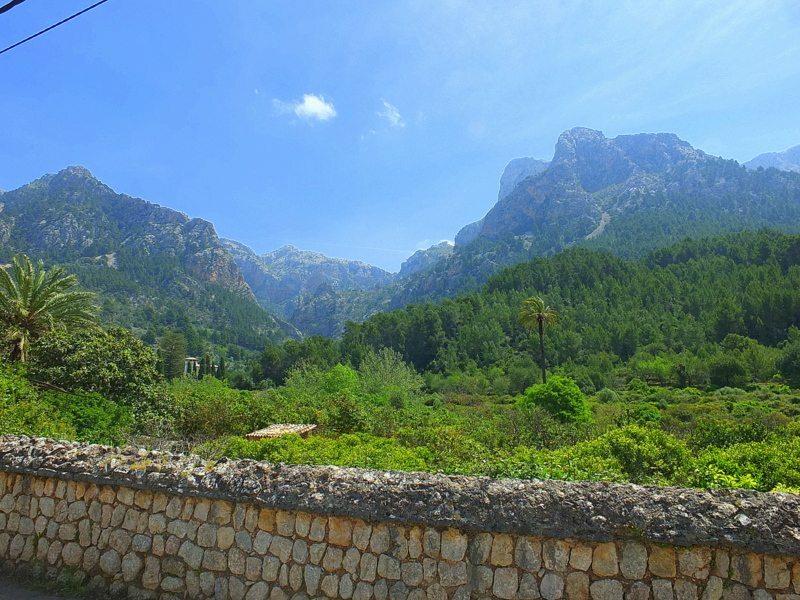 The views on this route are great, both of the valley below and the mountains behind. 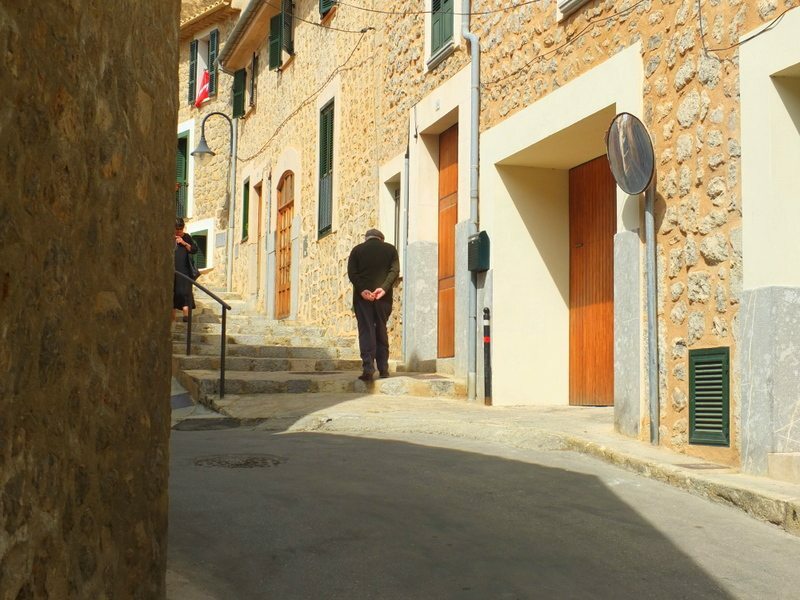 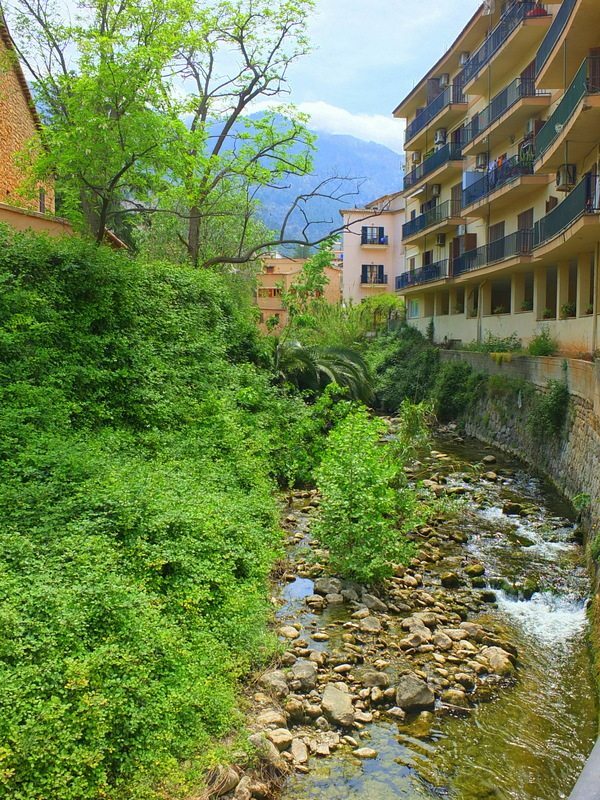 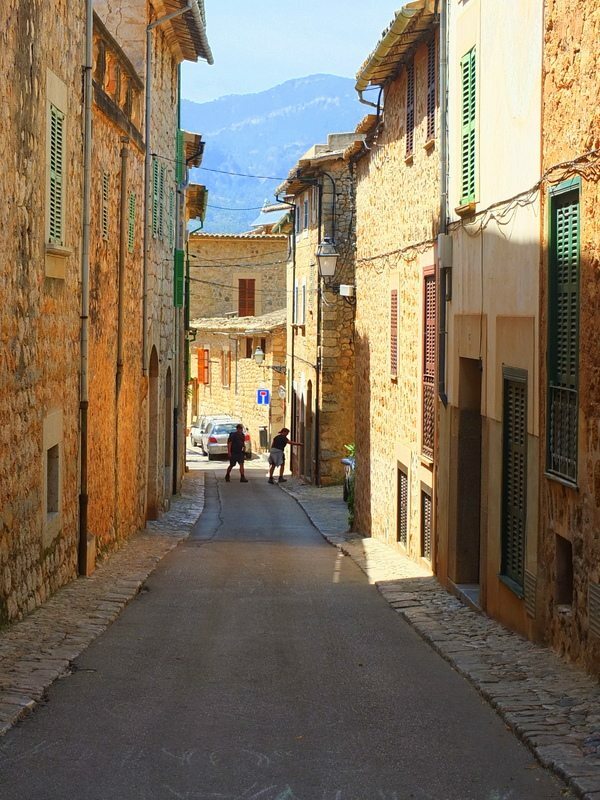 It is hard to express how gorgeous and idyllic the village of Fornalutx is. 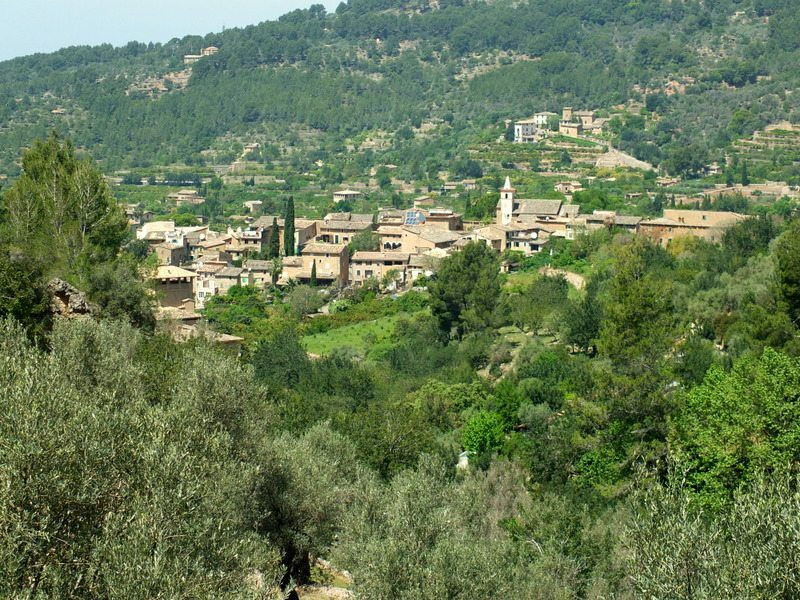 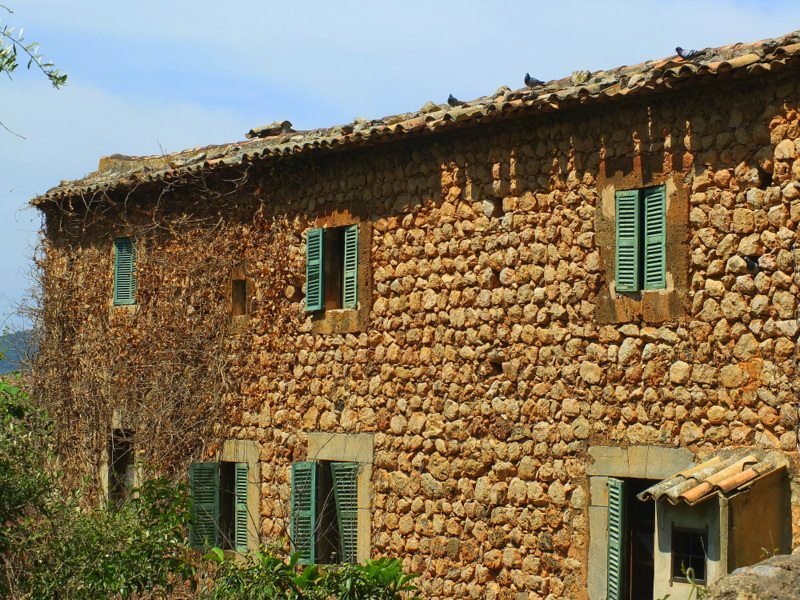 I was told that it is a regular winner of “the most beautiful village in Spain” award. 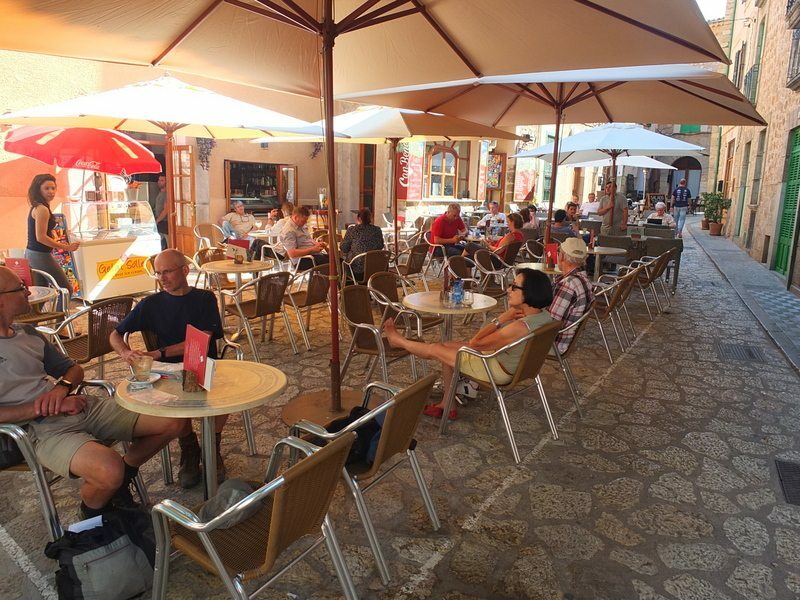 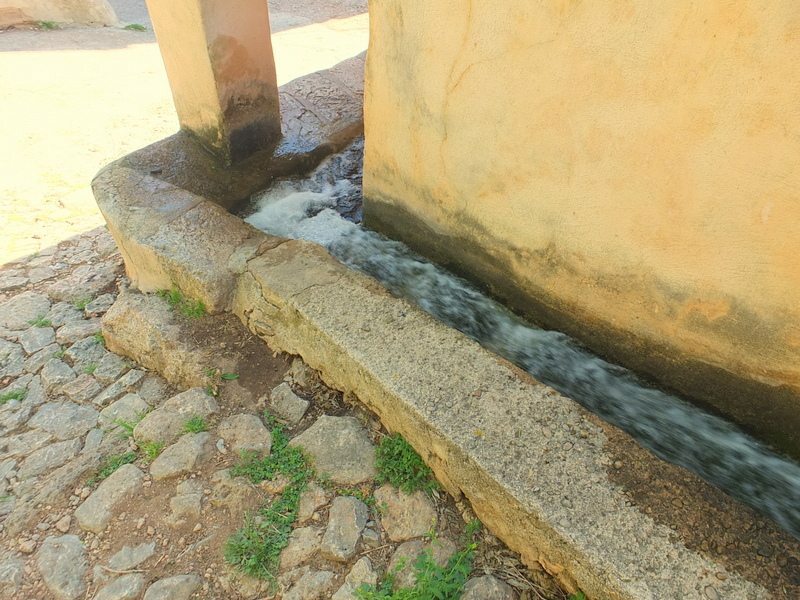 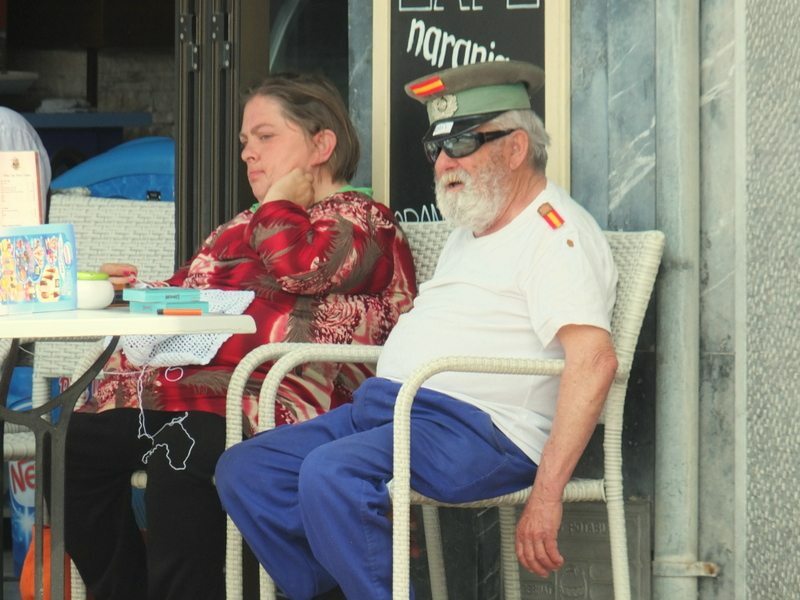 Both Fornalutx and Biniarix offer opportunity for a refreshing drink or lunch at cafes in their squares.